Robert “Warren” Strowd was born March 7, 1934 in Pittsboro, NC to John Sidney and Lenora Catherine Ward Strowd. He graduated in 1953 from Pittsboro High School and soon after attended North Carolina State College for certification in Artificial Insemination. After graduation, he met a young lady from Pinnacle, NC. Her name was Mary Grace Snyder. After an eight-month courtship, they married on October 24, 1954. The two settled in Orange County for only a few years then moved to Chatham County near the family farm, which remained their home to this day. Continuing the family tradition of farming, Warren worked alongside his father on the family dairy farm. Warren and Mary Grace began to raise their family – Bob, Sherry, and MaryLisabeth. As a husband and father, Warren was second to none. Warren believed in celebrating home, family, and faith, and it showed in the way he lived his life. Loving and following our Lord and Savior Jesus Christ, he strongly and wisely directed the path of his family. A life-long farmer and businessman, Warren Strowd, was a steward of the land. Early on in his life, he recognized hard work, honesty, responsibility, and dependability are traits to be valued, guarded, and daily practiced. Even as a young child, he understood that a day’s work meant - 4am milkings to late evenings in the fields, plowing, planting, and reaping the harvest. However, early in Warren’s farming career he made time in his busy day to join the Chatham County Artificial Cattle Breeder’s Association, serving as the county inseminator. This organization first formulated in 1949 with their goal being to improve the dairy herds of Chatham County. In this job, Warren was given a Chevrolet pickup truck by Justice Motor Company of Pittsboro, NC to travel to the various dairies in the county. Because of the associations efforts, Chatham County dairies grew overwhelmingly. For example, Warren’s family dairy moved from a small farm of 50 milking cows to a large farm of 300 milking cows as the years progressed. Eventually, Warren extended his breeding business, while still working the family farm, far beyond the boundaries of Chatham County. He traveled as far as Elizabeth City, NC in the east and as far west as Monroe, NC, often his breeding business sent him into Virginia and South Carolina. For more than fifty years, he worked for the American Breeders Service (ABS Global) headquartered in Deforest, Wisconsin. In 2012, Warren started his own company, Chatham Breeders, that his son, Bob, will now continue to run, serving most of North Carolina. Over the years, Warren accumulated numerous awards: 1991 ABS Global 50,000 Units Sold, Most Improved (ABS Global 1996-1997), Representative Round Table Award (ABS Global 2005-2006), 2007 High Volume Sales (ABS Global), 2008 Inducted into the ABS Global Hall of Fame. To say Warren has been a successful farmer and breeder is most definitely an understatement. For six decades within the community of Chatham County, Warren Strowd has played a vital role. From his church, Mt. Gilead Baptist Church, to the North Chatham Volunteer Fire Department, to the Mt. Gilead Perpetual Care Cemetery Fund, to the Chatham County School Board, Warren Strowd has generously and graciously served his community. Being a member of Mt. Gilead Baptist Church for more than 75 years, Warren served with kindness and wisdom in many different positions. Accepting the call of Deacon many times over, serving as a constant member of the building and finance committees, as well as serving as the church secretary/treasurer for more than forty years, Warren willingly accepted such leadership roles. Obviously, based on his love of the Lord, his church family was extremely important to him. Along with the Ward, Griffin, Hackney Reunion of Mt. Gilead Church, Warren was instrumental in the development of the Perpetual Care Cemetery Fund as he served as caretaker, guardian, and treasurer of the fund. This reserve of funds will allow the Mt. Gilead Cemetery to forever receive care and attention. In the mid-sixties, Warren began to see the need for a volunteer fire department in the North Chatham area, so he sought others in the community to help achieve such a goal. Along with Ross and Jim Norwood, Jessie Fearrington, Nell Strowd, and H. S. Williams, they established the North Chatham Volunteer Fire Department in 1968, where he served as fire chief for its first five years and gave more than 20 years of volunteer service in total. 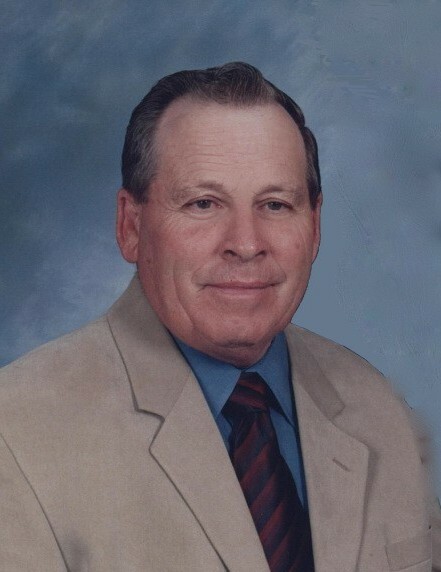 In addition to Warren’s work in his church and the fire department, he served on the Chatham County School Board for many years, seeing the building of the current Northwood High School and current Board of Education Administrative Offices remodeled. Needless to say, Warren Strowd, through his many contributions, has made a lasting impression on his beloved Chatham County. In 1995, Warren retired from dairy farming but not the breeding business. As a matter of fact, he had continued to maintain his breeding business only a couple of months ago when the ALS began to weaken his body so much so that he could no longer travel to make service calls. Warren faced the ALS diagnosis with humility, grace, and knowing that God was in control. He and his family trusted his doctors as they learned how to best cope with the management of the disease. It is most important to his family to take this opportunity to express their genuine appreciation to the care team at Chatham Hospital under the direction of Dr. Savannah N. Crites, the care team from Liberty Hospice of Siler City – Amber, Erica, and Sayra, and his family assistant, Monica. Each one of these individuals cared for Mr. Strowd with a love and kindness that was way beyond the call of duty. The family is eternally grateful and wants these individuals to know that they will forever be a part of our family! Anyone who knew Warren Strowd, most affectionately called “Papa,” knows that he was God first then family. A gentle spirit and true southern gentleman, Warren spent most of his family vacations over the years in the rolling hills of Pennsylvania visiting the Amish Country and every historical spot from Gettysburg to Hershey, to Philadelphia to Baltimore, to Washington, DC, to Williamsburg, VA. From the time his grandchildren started playing sports in middle school to their play in college, he never missed a game always being their biggest fan. Over the years, folks have seen his love of Wolfpack grow by leaps and bounds, never missing a N. C. State home football game as he maintained membership in the Wolfpack Club for more than thirty-five years. For as long as his family can remember, too many years to count, Warren manned a NC State Fair booth in the James Graham Building to represent his breeding service – many looked forward each year to seeing Mr. Strowd at his very same location. Additionally, Warren supported his three children and grandchildren in showing beef cattle at the state fair, where they won Grand Champion and Showmanship Awards over and over again throughout the years. Prior to Mary Grace’s death in 2012, Warren and Mary were blessed with close to sixty blissful years of marriage. Nobody loved a game of Rook or Checkers better than Warren; and of course, he loved to win. Family reunions, holiday celebrations, and mowing his yard were a source of great contentment for Warren. In his last couple of months, his family surrounded him 24/7 to love and care for him; and because of their commitment to help, he was a very happy man. On this past Sunday, June 24th, Warren met Jesus, his wife, and numerous family and friends in heaven for church service. Warren was preceded in death by his parents and his wife, Mary Grace Snyder Strowd. As Warren rests in the loving arms of his Lord and Savior Jesus Christ, his survivors include his son, Robert Clarence “Bob” Strowd and wife, Sandra Cockman Strowd, and two daughters, Sherry Grace Strowd Andrews and Mary Lisabeth Strowd Rich and husband Shawn, and his adoring grandchildren Robert Strowd and wife Brooke, Spencer Andrews and wife Anna Grey (two great grandchildren, Calvin and Charleigh), Rachel Strowd Goss and husband Brandon, and Morgan Andrews Peterson and husband Kent, Bailey and Grey Rich and his sibling, Wayne Strowd and many nieces and nephews who he loved dearly. The family will receive friends Wednesday, June 27, 2018 from 6PM to 9:30PM at Donaldson Funeral Home & Cremation Griffin Chapel. The Funeral Service will be Thursday, June 28, 2018 at 11AM at Mt. Gilead Baptist Church with Rev. Spencer Andrews, Rev. Dan Robinson, and Rev. Chris Gambos presiding. Burial will follow in the Church cemetery. If you wish to share flowers in tribute of Warren, they are welcome. Or, if you prefer, because of Warren’s deep devotion to the Mt. Gilead Baptist Church Perpetual Care Cemetery Fund memorial contributions can be sent to the Mt. Gilead Perpetual Care Cemetery Fund, 7561 15-501 N, Pittsboro, NC 27312. Donaldson Funeral Home & Cremation is honored to serve the Strowd family.